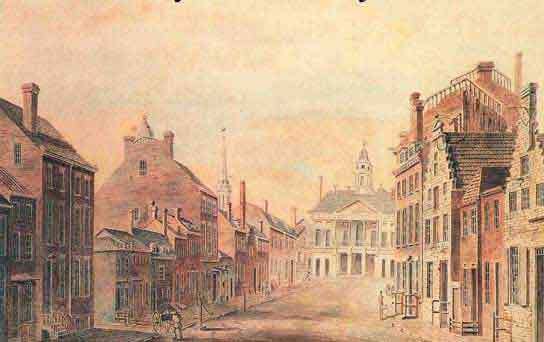 In July 1798, the federal government approved a tax on property. John Fries of Pennsylvania led a group of Pennsylvanians in a revolt against this tax. Fries was captured, tried and sentenced to death for treason. President Adams pardoned Fries and his fellow rebels. Due to the increasing costs of the Quasi War with France the Congress decided to impose a tax on property and slaves. Each state was to come up with its part of $2million. The tax was particularly unpopular in Pennsylvania who did not have many slaves and thus the tax fell heavily on property owners. John Fries had fought in the Revolutionary War becoming a Company commander and was popular among the people in his area, Milford, Pa. He began organizing meetings in opposition to the tax, and at the meeting it was agreed to actively resist the tax collection. The opponents actively harassed the tax collectors to the point they were unable to collect taxes in the Milford area. At one point Fries and his men were able chase the tax assessors out of the area. The federal government finally had enough, and sent marshals to begin arresting the tax resistors. Thirty people were arrested and brought to trial. Of those arrested, two, including Fries, were charged with treason and convicted. Both were sentenced to death by hanging. President Adams pardoned them.